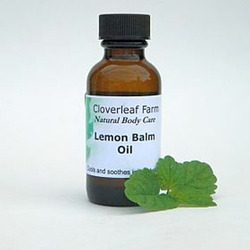 Our product range includes a wide range of organic fennel oil, organic flax seed oil, organic geranium oil, organic grapeseed oil, organic lavender oil and organic lemon balm oil. We are the manufacturer of Fennel Oil. FENNEL OIL is extracted from crushed seeds by steam distillation process. Chemical Composition The chemical composition of FENNEL OIL are a-pinene, myrcene, fenchone, trans-anethole, methyl chavicol, limonene, 1,8-cineole and anisic aldehyde. 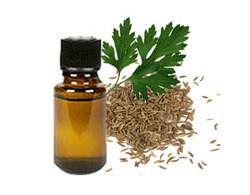 Essential Oil Information FENNEL OIL / FENNEL SEED OIL essential oil is highly used in cosmetics, pharmaceuticals, perfumery and as a food additive. It is a colorless to pale yellow coloured thin liquid and is renowned throughout diverse industries. 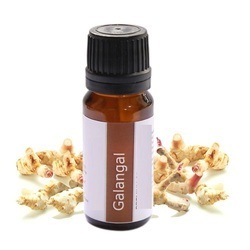 These oils act as a analgesic, antibacterial, expectorant, antifungal, anti-inflammatory, antimicrobial, stimulant, antispasmodic, aperitif, carminative, depurative, antiseptic, digestive, diuretic, emmenagogue, galactagogue, laxative, stomachic, tonic, vermifuge. Oil Properties Analgesic, antibacterial, antifungal, anti-inflammatory, antimicrobial, antiseptic, antispasmodic, aperitif, carminative, depurative, digestive, diuretic, emmenagogue, expectorant, galactagogue, laxative, stimulant, stomachic, tonic, vermifuge. Uses FENNEL OIL has a toning effect on the spleen and liver. It also helps in increasing insufficient milk in nursing mothers - but for boosting breast milk, rather use the fresh herb, since the oil contains very high concentrations of trans-anethole. Therapeutic Properties The therapeutic properties of fennel oil are depurative, diuretic, emmenagogue, expectorant, galactagogue, laxative, aperitif, antiseptic, antispasmodic, carminative, stimulant, stomachic, splenic, tonic and vermifuge. Blends Well With Benzoin, bergamot,Bergamot, black pepper, cardamom, cypress, dill, fir, geranium, ginger, grapefruit, juniper, lavender, lemon, mandarin, marjoram, niaouli, orange, pine, ravensara, rose, rosemary, sandalwood, tangerine, ylang ylang bud. Summary Fennel oil has a herby, slightly spicy smell and is clear in viscosity. These are used as an appetite stimulant in cases of anorexia, and to boost courage and strength in the face of adversity. Precautions Avoid in epilepsy, estrogen dependant cancers and in pregnancy. Shipping Options We have reputed shipping partners like DHL, Fedex, UPS, TNT, EMS. Moreover, we also ship our quality goods by means of air as well as sea. Flax seed oil comes from the seeds of the flax plant (Linum usitatissimum, L.). A-linolenic acid (51.9-55.2%), palmitic acid (about 7%), stearic acid (3.4-4.6%), oleic acid (18.5-22.6%), linoleic acid (14.2-17%). Research shows low incidence of breast cancer and colon cancer in populations that have high amounts of lignan in their diet. Flax is 100 times richer in lignan than most whole grains. Omega-3 fatty acids help lower cholesterol and blood triglycerides, and prevent clots in arteries, which may result in strokes, heart attacks and thromboses. It protect the body against high blood pressure, inflammation, water retention, sticky platelets and lowered immune function. Increases the body's production of energy and also increases stamina. Accelerates the healing of sprains and bruises. (7 to 20%), Citronellol (20 to 40%), Linalool (5 to 15%), Menthone, geranyl formate, 10-epi-eudesmol (Egypt,Morocco, Algeria), Guaiadiene-6, 9 (China). 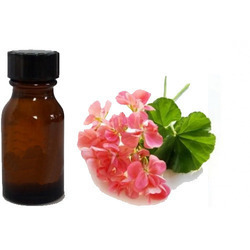 This oil is extracted from the plant Pelargonium odorantissimum, of the Geraniaceae family. This is a wonderful skincare oil and has a stabilizing and balancing effect on the emotions. Colorless liquid having watery viscosity. IT is used in the treatment of acne, bruises, burns, cuts, dermatitis, eczema, hemorrhoids, lice, as a mosquito repellant, ringworm, ulcers, breast engorgement, edema, poor circulation, sore throat, tonsillitis, PMS, menopausal problems, stress and neuralgia. Astringent, haemostatic, cicatrisant, cytophylactic, diuretic, deodorant, haemostatic, styptic, tonic, vermifuge and vulnerably. Basil, Bergamot, Citronella, Clary Sage, Fennel, Grapefruit, Jasmine, Juniper, Lavender, Lemon, Lemongrass, Nerolia and Nutmeg. Geranium oil is excellent for all skin types, and is used in skin care products for both its fragrance and cleansing properties. It exerts a balancing effect on the skin. It blends well with other floral oils, and when mixed with Lavender essential oil and Bergamot essential oils produces a delightful room freshener. It is non-toxic, non-irritant and generally non-sensitizing, yet can cause sensitivity in some people. Should be avoided during pregnancy . 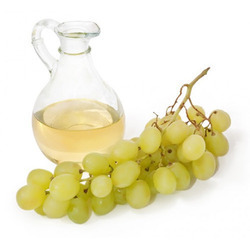 Grapeseed oil is obtained by cold pressing the Grape seeds. Linoleic acid, Oleic acid, Palmitic acid, Stearic acid, Alpha-linolenic acid, Palmitoleic acid, Vitamin C & E etc. It has an strong anti-oxidants, anti-inflammatory, anti-allergic, anti-cancerous, anti-microbial activity. It is used as cooking oil. It is cholesterol free and helps lower the bad cholesterol and raise the good one. It can be used for treating acne and dermatitis, sun burns, age spots, diabetes, high-blood pressure, rheumatoid arthritis, cataracts and macular degenerations, wrinkles and stretch marks. 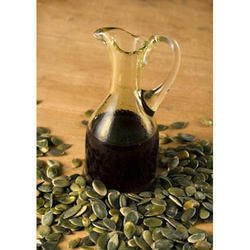 The benefits of grapeseed oil for your skin include anti-aging benefits, supple skin, and an even skin tone. 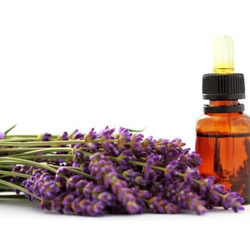 Lavender oil is extracted from Lavandula angustifolia of the Lamiaceae family. It is also known as garden, common or English lavender. 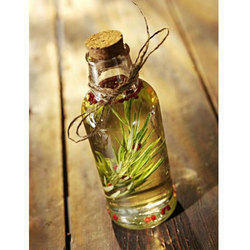 This oil has light fresh aroma and is clear in color and watery in viscosity. This oil has a soothing and calming effect on the nerves, relieving tension, depression, panic, hysteria and nervous exhaustion in general and is effective for headaches, migraines and insomnia. It is also very beneficial for problems such as bronchitis, asthma, colds, laryngitis, halitosis, throat infections and whooping cough and helps the digestive system deal with colic, nausea, vomiting and flatulence. 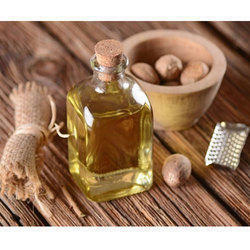 This oil relieves pain when used for rheumatism, arthritis, lumbago and muscular aches and pains. Antiseptic, analgesic, anti-convulsant, anti-depressant, anti-rheumatic, anti-spasmodic, anti-inflammatory, antiviral, bactericide, carminative, cholagogue, cicatrisant, cordial, cytophylactic, decongestant, deodorant, diuretic, emmenagogue, hypotensive, nervine, rubefacient, , sudorific and vulnerary. This is one of the safest oil but in case of any allergic reactions, should discontinue use. 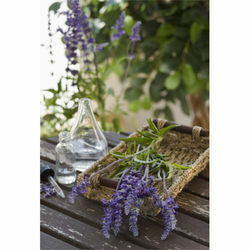 The oil of Lavender MB 40/42 is a blend of several lavenders. It is the most common lavender essential oil used by soap and candle makers and is the scent that most people associate with lavender. It is usually the most inexpensive variety as well. The oil is extracted from aril using steam distillation process. monoterpene hydrocarbons (ca. 88%), dipentene, sabinene, camphene, pinene, cymene. 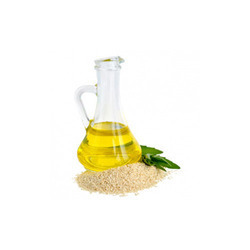 The oil is used as a flavoring agent in baked goods as well as in pharmaceutical industry. Other than this, it is also used in perfumery applications. The oil is also added to a blend where mace oil is used as fixative. Further, its analgesic properties also make it useful for treating muscle fatigue and arthritis. The oil is used in treating cases of arthritis, cough, exhaustion, colds, constipation, fever, loss of appetite, nausea, muscle fatigue, slow circulation. It is also used as a fixative and has analgesic properties that make it useful for muscle fatigue and arthritis. Analgesic, antispasmodic, , antioxidant, choloagogue, laxative, antirheumatic, carminative, stimulant, tonic. Bay leaf, geranium, lavender, citrus oils, oakmoss, clary sage and neroli. 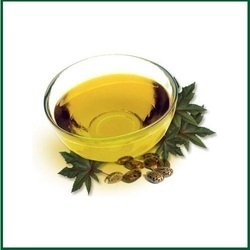 The oil is useful as a flavoring agent for baked goods and in pharmaceutical industry. Further, it is also useful in perfumery applications and is used as an additive to men’s fragrances. The oil is extracted from the fruit peel part using cold pressed method. Limonene, citral, citronellal, methyl methylanthranilate. Also known by common names of naartjie, tangerine, European mandarin, true mandarin, the oil comes from mandarin trees which is member of orange family. 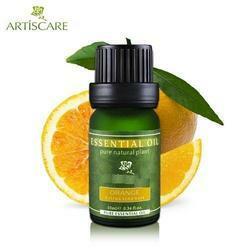 The oil is steam distilled using fruit part of tree and blends well with other citrus and floral oils. Further, it also has superior medicinal properties and is used for treating insomnia, spots, oily skin, acne, dull skin, scars, stress and wrinkles. The oil has in it properties to be used as a perfumery and flavoring agent. Medicinally, the oil also has properties to be used for digestive ailments. The oil has superior medicinal properties and is helpful in treating cases of dull skin, acne, insomnia, oily skin, scars, spots, stress and wrinkles. Antiseptic, digestive, diuretic, antispasmodic, carminative, laxative, hypnotic, lymphatic stimulant, tonic. Basil, cinnamon, clary sage, black pepper, chamomile roman, clove, grapefruit, jasmine, frankincense, geranium, juniper, neroli, nutmeg, lemon, myrrh, palmarosa, rose, sandalwood, ylang ylang. The oil is beneficial for treating cases of acne, fluid retention, indigestion, constipation, intestinal problems, oily skin, scars, skin disorders, nervous tension, obesity, stretch marks. Further, it also has good antiseptic properties, thus making it an ingredient in massage oils, lotions and facial products. The oil is extracted from the leaves using steam distillation process. 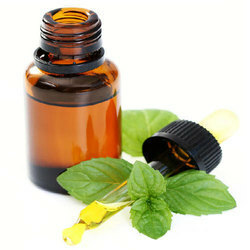 The oil is also known by the name of Mentha citrata herb extract and originates from Central and Southern Europe. With appearance of a colorless to yellowish clear liquid, the oil is produced using distillation process and plays active role in flavor, food, perfumery as well as other allied industries. The oil is used in manufacturing process of detergents, perfuming agents, soaps, cough syrups, pain balms. , expectorant, stimulant, stomachic, tonic, vermifuge. Basil, lavender, rose, citrus oils, geranium, ylang ylang. The oil is useful for treating cases of nausea, parasites, stomach aches, digestive disorders, fevers and headaches. Further, it is also use as perfuming agent, in detergents, cough syrups, soaps, pain balms. Extraction :This oil is hygienically extracted from the seeds of musk melon that extensively grows in Indian by means of cold pressing process. Chemical Composition :The oil is comprised with optimum nutritional value due to its enrichment with various sorts of minerals. This oil is a good source of vitamin A, B, C; potassium, iodine and Omega 6, which helps human body to recover from the different types of diseases. The oil is also comprised with Oleic, Palmitic, Linoleic and stearic fatty acids. Essential Oil Information :Musk Melon Oil is the one which is extracted from the seeds of Musk Melon that contains excellent quantity of minerals. With its high nutritive enrichment, the oil is perfect for treating skin related problems, urinary tract infection, constipation, acidity and lack of appetite. Our pale yellow colored oil with nutty fragrance is extremely effective in relieving tiredness. Oil Properties :Our musk melon oil is known for its purity and lightness. This is enriched with nutrients that gives excellent moisture to the body skin and helps in nourishing the skin. The oil has optimum absorption, moisturizing and physiochemical properties. Uses :Musk Melon Oil is highly used in skin care products like lotions, body massage oil, facial masks, serums and creams due to its effective skin nourishing properties. The oil plays active part in increasing appetite, reducing body heat to a great extent, relieving tiredness, controlling blood pressure and regulating heart beat. 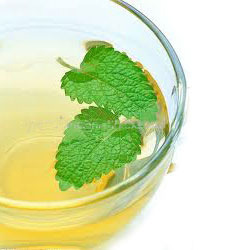 It is also effective in treating acidity, ulcer, constipation, urinary tract infection, weight loss and lack of appetite. Therapeutic Properties :With its optimal moisturizing and nutritive properties, the oil is effectively used in massage oils, face packs and various other skin care products for therapeutic treatments. Summary :Musk Melon Oil is a clear to pale yellow liquid available in sweet and nutty fragrances. 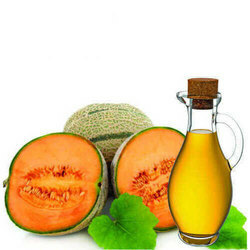 Extracted from the seeds of musk melon, the oil is effective in skin treatments and various other health problems. Shipping Options :We have reputed shipping partners like DHL, Fedex, UPS, TNT, EMS. Moreover, we also ship our quality goods by means of air as well as sea. Neem oil has various chemical compounds that include Margosic Acid, Nimbin,Nimbidin, Nimbinin, Kaempeerol, Azadirone, Quercursertin, B – Sitosterol, Praisine,Vanilic Acid, Nimbicetin and Meliacins. This golden brown oil has a rich, full bodied aroma. It is highly stable in nature. It has repellent anti-oxidizing properties and prevent the oxidization of fatty tissue. 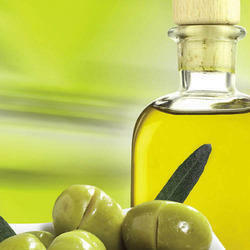 Olive oil has an effect in preventing the formation of blood clots and platelet aggregation. It helps in avoiding excessive blood coagulation. It can attenuate the effect of fatty foods in encouraging blood clot formation. Regular consumption of olive oil decreases both systolic (maximum) and diastolic (minimum) blood pressure. An olive-oil-rich diet is not only a good alternative in the treatment of diabetes, but also helps in preventing or delaying the onset of the disease. Olive oil plays an important role in the prevention of continuous oxidation, one of the processes that influences the development of certain types of skin cancer. Olive oil also acts like a natural anti-oxidant, that slows down the natural aging process. It also slows down acid overproduction in the digestive system thereby diminishing the potential for ulcers and other gastrointestinal problems. The oil is extracted from the seed part using steam distillation process. Apiol, tetramethoxyally-benzene, myristicin, pinene, voliatil fatty acids. 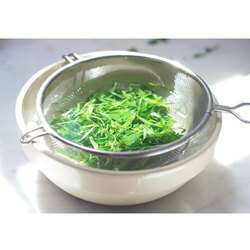 Also known by common names of Parsley Seed Oil, the oil is steam extracted using short-lived perennial herb having bright green foliage and small greenish-yellow flowers that are a source to small brown seeds. The areas oil is used in include cosmetics, colognes, soaps, detergents and perfumes. The extracted oil is a yellow, amber or brownish liquid having warm woody-spicy herbaceous odor. Accumulation of toxins, cellulitis, rheumatism, arthritis, broken blood vessels, sciatica. Haemorrhoids, dysmenorrhoea, cystitis. 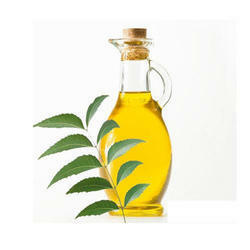 Uses The extracted oil is used in cosmetics as well as in body care products. Other than this, the oil also finds usage in flavoring of food. The oil has main concentration of apiol & myristicin, pinene, tetramethoxyally-benzene and voliatil fatty acids and finds usage as a carminative and in digestive remedies like gripe water. Other than this, the oil is also preferred for use in colognes, cosmetics, soaps, detergents and perfumes. 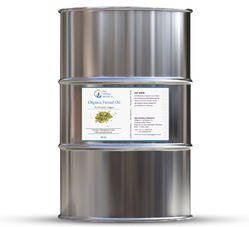 Petitgrain oil has various chemical compounds that include Linalyl Acetate, Linalol, Nerol, Alpha-Terpineol, Geranyl Acetate, Limonene and Myrcene. It is antiseptic, anti-spasmodic, anti-depressant, deodorant, and nervine. It has antidepressant, antispasmodic, deodorant and vitalizing, refreshing and cooling properties. Petitgrain essential oil will help to calm anger and reduce panic. It has a relaxing effect on the nervous system and helps to calm a racing heart and relax muscles. It has been used to treat impotence, mental fatigue, colic, indigestion, nausea, diarrhea, fainting, vertigo, halitosis and many respiratory conditions. It is helpful to acne, pimples, scars and other skin related problems. It has antiseptic and tonic properties and is helpful in toning skin. It is used in manufacture of superior quality skin care and cosmetic products. 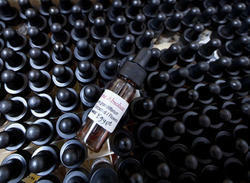 Used for high graded perfumery & other fragrances. The oil is extracted from the dried herb using steam distillation process. b-pinene, camphor, a-pinene, borneol, bornyl acetate, 1,8-cineole, camphene and limonene. Also known by common name of Rosmarinus officinalis, the oil is crisp and clean smelling and is extracted from Rosmarinus officinalis. It is useful for stimulating brain as well as in improving memory & mental clarity. Further, it also helps in handling cases of stiff muscles, congested respiratory tract issues, coldness and boosting he liver and gall bladder. This essential oil has overall stimulating as well as invigorating effect and works best on mental and physical levels. Analgesic, carminative, cephalic, antidepressant, astringent, cholagogue, emmenagogue, cordial, digestive, hypertensive, nervine, diuretic, hepatic, stimulant, rubefacient, sudorific and tonic. UsesThe oil is well known for its antiseptic action in cases like intestinal infections, diarrhea, dyspepsia, easing colitis, flatulence, jaundice and hepatic disorders. Further, it also helps in treating cases of neuralgia, mental fatigue, headaches, migraines, nervous exhaustion, sagging skin, scalp disorders and encouraging hair growth. The oil offers a pronounced action on brain as well as the central nervous system and is wonderful in clearing mind as well as mental awareness. Having superior brain stimulant properties it also helps in improving memory. Further, the oil is also beneficial for treating cases of neuralgia, mental fatigue, headaches, migraines, nervous exhaustion. The oil’s antiseptic action also supports treating infections and diarrhea, flatulence, hepatic disorders and jaundice. The oil is extracted from the flowering part of the plant through steam distillation process. carvone, 1,8-cineole, a-pinene, b-pinene, linalool, caryophyllene, limonene, myrcene, menthol. The oil has extensive usage in culinary and pharmaceutical industries and in medical applications is also known for its beneficial effect on digestive system as well as in providing relief from aches and pains. 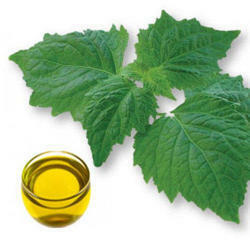 The oil has similar aroma to that of peppermint oil and is slightly sweeter and pale yellow to greenish in color. Analgesic, anti-inflammatory, antiseptic, anesthetic, antibacterial, carminative, cephalic, antispasmodic, astringent, decongestant, expectorant, febrifuge, digestive, diuretic, hepatic, tonic, stimulant, stomachic. UsesThe oil is highly beneficial for its beneficial effects for treating cases of acne, colic, congested skin, asthma, bronchitis, colds, dermatitis, fevers, flu, dyspepsia, fatigue, headache, nervous strain, migraine, nausea, sinusitis, stress. The oil is effective for treating digestive system, respiratory tract as well as for tired mind and for skin related issues. The oil is extracted from the rhizome part using steam distillation process. valeranone, jonon, bornyl acetate, menthylthymyl-ether, tetramenthyloxatricylodecanol and 1,8-cineol. Also known by common names of Nardostachys Jatamansi, the oil is extracted from Nardostachys jatamansi of Valerianaceae family and is known as "false" Indian valerian root. The oil’s strong medicinal properties make it an important ingredient in many medicine varieties. The oil has warm, misty, heavy aroma and is pale yellow in color with medium viscosity. The essential oil is widely used in field of medicine as it provides effective cure against ills of weak nervous system, migraine, tension, indigestion, insomnia and stress. UsesThe essential oil is widely used in field of medicine as it provides effective cure against ills of weak nervous system, migraine, tension, indigestion, insomnia and stress. The oil is highly effective for treating cases of migraine, nervous indigestion, tension, stress, insomnia as well as has rejuvenating effect for mature skin, helps with allergies, cases of skin inflammation and rashes. The oil is extracted from the leaves part using a steam distillation process. Estragol, 7-methoxycoumarin, eugenol and eugenol. Known by the common name of Artemisia dracunculus l. herb oil estragon oil, tarragon oil (artemisia dracunculus) and tarragon herb oil, the oil is extracted from perennial herb having smooth narrow leaves and an erect stem up to 1,2 meters tall. The essential oil has sweet, anise-like, spicy-green aroma with the color of extracted oil being colorless to very pale yellow. Anti-rheumatic, deodorant, aperitif, digestive, stimulant, vermifuge and emmenagogue. UsesThe extracted oil is used fo0r curing anorexia, dyspepsia, flatulence, hiccups, internal spasm, menstrual pains and nervous indigestion. It is also used in vapor therapy as well as blended massage oil. Further, it is also used as fragrance to soaps, soft drinks, cosmetics, detergents, alcohols, perfumes. The oil helps in stimulating appetite and has good effect in treating sluggish digestive system. Other than this, it is also useful for treating cases of flatulence, hiccups, anorexia, dyspepsia, nervous indigestion, internal spasm menstrual pains and in regulating periods. 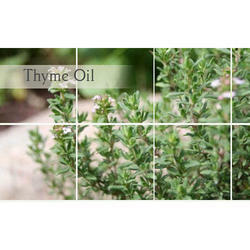 Thyme oil has a fresh, herbaceous, medicinal scent. It has often been described as sharp and warming. 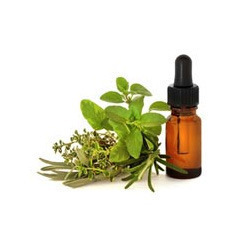 Thyme oil has various chemical compounds that include a-thujene, pinene, camphene, pinene, cymene, terpinene, linalool, borneol, caryophyllene, thymol, carvacrol. It has antirheumatic, antiseptic, antispasmodic, bactericidal, bechic, cardiac, carminative, cicatrisant, diuretic, emmenagogue, expectorant, hypertensive, insecticide, stimulant, tonic and vermifuge properties. Thyme oil used to treat colds, coughs and sore throats, nose and chest infections when used as an inhalation or as a mouthwash or gargle. It helps in soothing and relaxation of skin and act as a compress. This oils extensively used by manufacturing perfumers for scenting soaps. 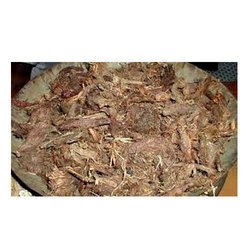 It is used in flavouring stuffings, sauces, pickles, stews, soups, jugged hare, etc. 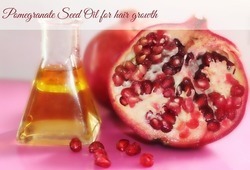 Pomegranate seed oil contains a unique polyunsaturated oil called “punicic acid”, an omega 5 fatty acid, which has strong anti-inflammatory properties. The oil fends off free radicals to keep skin ageing at bay. It also provides protection against sun damage. 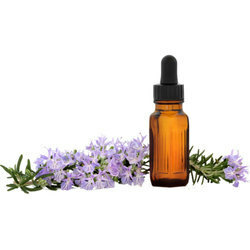 linalool, linalyl acetate, caryophyllene, a-terpineol, neryl acetate, sclareol and germacrene D.
Clary sage essential oil is extracted from sclarea of the Labiatae family and is also known as clary, clary wort, muscatel sage, clear eye, see bright and eye bright (but not to be confused with the common herb also called eyebright (Euphrasia). 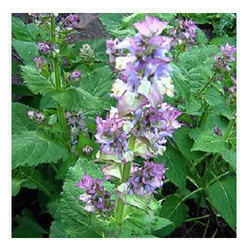 A clear to pale yellow essential oil, Clary sage has a sweet, nutty fragrance, somewhat herbaceous. The viscosity is watery, viscous if the leaves are included in the distillation. Clary sage is calming to the nervous system, particularly in cases of depression, stress, insomnia and deep seated tension. It furthermore is a good tonic for the womb and female functions in general, such as painful periods, scanty menstruation and relaxation during labor, thus encouraging a less painful birth. It is good for muscle pains, digestive disorders, kidney diseases and the cooling of inflammation of the skin. Antidepressant, anticonvulsive, antispasmodic, antiseptic, astringent, bactericidal, carminative, deodorant, digestive, emmenagogue, euphoric, hypotensive, nervine, , stomachic, uterine and nerve tonic. juniper, lavender, pine, geranium, sandalwood, jasmine, frankincense and other citrus oils. Clary sage oil's greatest benefit lies in its calming and sedating influence on the nerves, emotions, female functions, kidneys and digestive system. It also helps with skin conditions like acne, boils and ulcers and cools painful muscles and joints. It is a non-toxic, non-sensitizing oil and in large doses generate a headache. Must be avoided during pregnancy. a-pinene, sabinene, myrcene, camphene, b-pinene, limonene, 1,8-cineole, a-phellandrene, a-terpinene, terpinen-4-ol, y-terpinene, linalool, safrole, myristicin, methyl eugenol. 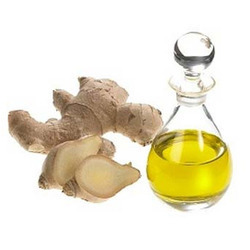 The extracted oil has in it a warming spicy property that makes it useful for aromatherapy applications. It also helps in fighting inflammation and rheumatic pain. Further, it also helps in assisting digestive system and also supporting reproductive system. 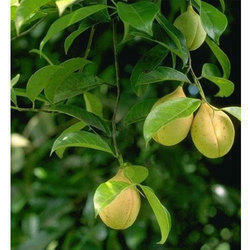 The oil has sharp, spicy and musky aroma and is extracted from the seed part of the plants, producing pure nutmeg oil. Analgesic, antiseptic, antispasmodic, antioxidant, , carminative, antirheumatic, laxative, stimulant, tonic. Bay, lavender, lime, clary sage, coriander, geranium, mandarin, peru balsam, oakmoss, orange, petitgrain, rosemary. 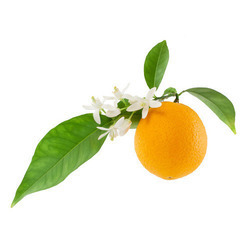 The oil is used in perfumery applications and is used as fixative for citrus oils. Further, it is also used used for treating cases of rheumatism and digestive upsets. Sunflower oil is cold expressed from the seeds of the plant. It has smoothing properties and is considered noncomedogenic. It is anti oxident, cardiac, carminative, digestive, disinfectant, diuretic, Stometic, tonic, etc. 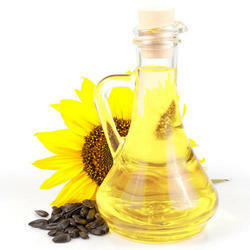 Sunflower oil is a versatile oil that can be used for aromatherapy oil, massage blends and manufacturing cosmetics. Zingiberene (40%), Ar-curcumene (20%). heptane, octane, isovaleraldehyde, nonanol, ethyl pinene, camphene, b-pinene, sabinene, myrcene, limonene, b-phellandrene and 1,8-cineole . It is used in the treatment of fractures, rheumatism, arthritis, bruising, carbuncles, nausea, hangovers, travel and sea sickness, colds and flu, catarrh, congestion, coughs, sinusitis, sores on the skin, sore throat, diarrhea, colic, cramps, chills and fever. Sandalwood, patchouli, rosewood, cedarwood, rose, coriander, frankincense, lime, orange, neroli, vetiver and bergamot. A perennial herb that can stand up to about 3 - 4 feet high and has a thick spreading tuberous rhizome. The root is macerated and distilled over high heat, for extracting the oil. This oil is non-toxic and non-irritant, but can irritate sensitive skins and can also cause photosensitivity. Odour Golden colored liquid with blend herbal odor. The jojoba oil is extracted from the seed of the plant. Female jojoba plants produce a seed that contains 40-60% liquid wax. 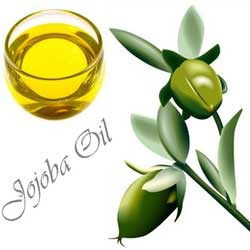 Jojoba oil has various chemical compounds that include chained C20 and C22 fatty acids and alcohols and two unsaturated bonds, which make the oil susceptible to many different types of chemical manipulations. Jojoba Oil is a most popular addition for skin care products, and is often used alone as a facial oil as it contains natural collagen. Jojoba Oil can help heal acne, athlete’s foot, cuts, mouth sores, pimples and warts. It is very good moisturinser and used as make up remover. It is used for fragrance because of its advanced molecular stability. Clients can avail an extensive range of Mahua Oil that is known for its high effectiveness. The offered oil is used for processing products like beauty care products, soap, detergent, butter, etc. This oil is processed at par with the set industry standards with the help of latest processing methods to ensure high quality. We offer this oil in different packaging options as per the requirements of clients. Our team of skilled professionals tests the offered oil on various parameters to meet the predefined quality standards. Peppermint is a perennial herb that grows up to 1 meter (3 feet) high and has slightly hairy serrated leaves with pinkish-mauve flowers arranged in a long conical shape. Peppermint oil has various chemical compounds that include Menthyl Acetate, Menthone, Cineole, Limonene, Phellandrene, Pinene and Beta-Caryophyllene. It is nalgesic, anesthetic, econgestant, emmenagogue, expectorant, febrifuge, antiseptic, antigalactagogue, antiphlogistic, antispasmodic, astringent, carminative, cephalic, cholagogue, cordial, decongestant, emmenagogue, expectorant, febrifuge, hepatic, nervine, stimulant, stomachic, sudorific, vasoconstrictor and vermifuge. Peppermint has a high menthol content, and is often used as a flavouring in tea, ice creams, confectinery, chewing gum and toothpaste. It is used in different cosmetics and toiletries preparations especially in preparation of shampoos and soaps, which give the hair a minty scent and produce a cooling sensation on the skin. The absolute of Tomato Leaf is red to orange color liquid well-known due to its rich, unique, earthy and sweet fruity fragrance. It is extracted from the leaves of Tomato by Food Grade solvent method. It works well on obesity therefore widely accepted by those people who suffer from obesity. Apart from this, it works well on various skin problems. We are the manufacturer of Frankincense oil. Chemical CompositionThe oil contains alpha-pinene, Ketonic alcohol (olibanol), alpha-thujene and octanol, terpenes (camphene, dipentene, a- and p-pinene, phellandrene) and resinous matters (30 - 60 per cent). Oil PropertiesThe oil has properties of being analgesic, antifungal, anti-arthritic, anti-inflammatory, antiseptic, antioxidant, astringent, digestive, carminative, diuretic, tonic, expectorant, vulnerary. PrecautionsBeing non-toxic and non-irritant, Frankincense oil can be used by most people.Putting 2 to 3 drops on inside of forearm helps in testing for reaction.Lactating women should avoid essential oils as these can carry hormone-like activity.The resin intake should be avoided when using blood thinning medication. 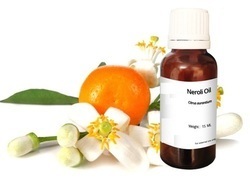 We are the leading manufacturer ,Exporters & Suppliers of Natural Neroli Oil . Orange Terpenes is a clear, colorless liquid produced by high vacuum fractional distillation of orange oils. Orange terpenes are a super-concentrated multi-purpose cleaner and degreaser that is 100% natural, biodegradable, safe, and non-toxic. b-pinene, germacrene-d, 1,8-cineole, a-pinene, isomenthone, menthone, methofuran, limonene, menthol, trans-sabinene hydrate, methyl acetate, pulegon. 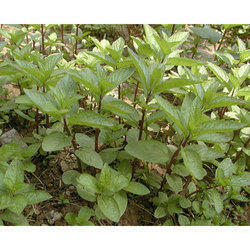 The oil is extracted from mentha arvensis perennial herb using leaves that have serrated edges. He pure grade of oil extracted and supplied retains in it the natural essence of plant. Known by the common name of Brandy mint and balm mint, the extracted oil is slightly yellow in color with a cold mint odor. Further, it is soluble in alcohol & Paraffin oil but is not soluble in water. Analgesic, antigalactagogue, antiphlogistic, anesthetic, antiseptic, carminative, cephalic, antispasmodic, astringent, cholagogue, emmenagogue, expectorant, cordial, decongestant, febrifuge, vasoconstrictor, stimulant, stomachic. Uses The oil finds usage in food and beverage industry as well as in providing a cooling effect that makes it a popular ingredient choice for skin and hair care products. The astringent properties of oil also make it as an effective balm for bruises as well as sore joints. The oil assists in cases of nervous disorders as well as is effective in stimulating mind as well as in focusing concentration. It also helps in treating cases of respiratory tract, muscular aches and skin problems.